quality products in compliance with the rules. PDO – Protected Designation of Origin ( DOP – Denominazione di origine protetta ), identifies the name of a product whose production, processing and preparation take place in a defined geographic area. PGI – Protected Geographical Indication ( IGP – Indicazione geografica protetta ), identifies the name of a product of which at least one of the stages of production, processing or preparation takes place in a defined geographic area. 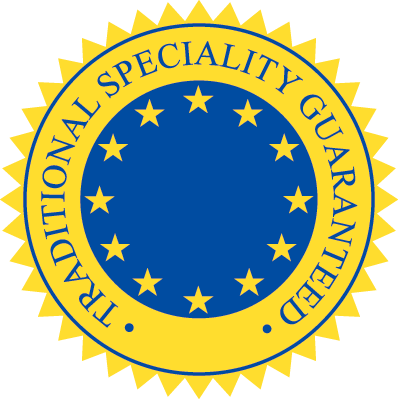 TSG – Traditional Speciality Guaranteed ( STG – Specialità tradizionale garantita ), has the task of making a traditional composition of the product or a traditional method of production, but does not refer to an origin. This category of marks should not be registered, but the protection is due by specific laws. Curiosity: Italy currently holds the record among the European PDO, PGI and TSG. This system of protection introduced by European legislation in 1992 is very similar to some existing systems in some European countries: in Italy since 1963 is in force Designation of Origin (DOC), in France there is the Appellation d’origine contrôlée (AOC), in Spain the Denominación de origen. To protect the typicality of certain foodstuffs, the European Union has launched a specific legislation, establishing two levels of recognition: PDO and PGI. The acronym DOP (Denomination of Protected Origin) extends the protection of the national brand DOC (Denomination of Controlled Origin) in the whole of Europe and, with international agreements GATT, also to the rest of the world. The mark designates a product originating in a region and a country whose quality and characteristics are essentially or exclusively due to the geographical environment (a term that includes the natural factors and human ones). All the production, transformation and processing of the product must take place in the area bounded. The abbreviation PGI (Protected Geographical Indication) introduces a new qualitative level of protection that takes into account the development of the industrial sector, giving more weight to the techniques of production compared to territorial restrictions. So the code identifies a product originating in a region and a country whose quality, reputation and characteristics can be attributed to the geographical origin, and of which at least one stage of production, processing and preparation take place in the area bounded. Both of these awards Community constitute a valid warranty for the consumer, who knows so buy quality food, which must meet certain requirements and are manufactured in compliance with precise specifications. Also provide protection for the producers themselves, against any imitations and unfair competition. 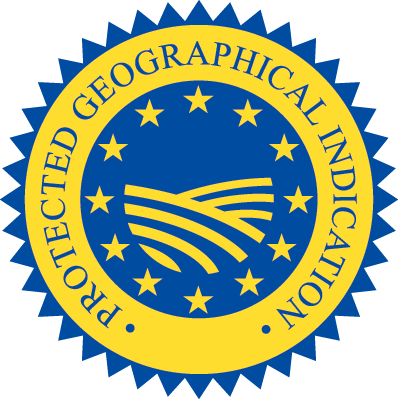 The “Protected Designation of Origin” (PDO) is a trademark of the legal protection of the name that is given – usually by law – to those foods whose peculiar characteristics depend essentially or exclusively from the territory where they are produced. The geographical environment includes both natural factors (climate, environmental characteristics), that human factors (production techniques passed down over time, craftsmanship, savoir-faire) which, when combined together, allow to obtain an inimitable product outside of a specific production area. In order for a product is DOP, the stages of production, processing and preparation must take place in a defined geographical area. The term “PGI” refers to the name of a region, a specific place or, in exceptional cases, a country used to describe an agricultural product or a foodstuff originating in that region, specific place or country, and where a given quality, reputation or other characteristics attributable to that geographical origin and the production and / or processing and / or preparation of which take place in the defined geographical. Recognition, under EC Reg. 2082/92, the specific character of a product agribusiness, understood as an element or group of elements, for their quality and traditional nature, clearly distinguishable from other similar product. We refer, therefore, to products obtained according to a method of producing traditional typical of a particular geographical area, in order to preserve the specificity. Are excluded from this regulation products whose peculiar character is linked to the origin or geographical origin; This aspect distinguishes the STG by PDO and PGI. Difference between PDO and PGI ? To obtain the PGI at least one phase of the production process must take place in a particular area. Therefore, the difference between PDO and PGI products is that, for PDO, everything related to the processing and marketing of the product originates in the territory declared; while for the PGI product, the said territory gives the product, through some phases or components of its processing, but not all of the factors that contribute to obtaining the product from the territory declared. Thus, for example, the Bresaola della Valtellina PGI and PDO why not obtained from meat from animals that are not bred in Valtellina, while following the traditional production methods and benefiting, during ripening, the favorable climate of the area. Even more simply, the DOP certifies only products wholly obtained and packaged in the territory of origin stated, while the IGP certifies that not the entire production process is related to the area of origin declared, but they are the most important stages, namely those that give the product its unique character.